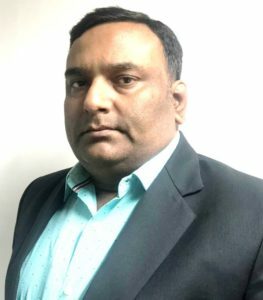 Mr. Khushu bring 50 years of robust experience in adopting modern project execution methodologies, systems & procedures in compliance with quality standards. An astute & multi-tasking leader with qualitative experience in formulating strategic plans, establishing entire operations with key focus on Town planning and development of cities, Highways, Railways, Metros, Hydro & Buildings Projects. Demonstrated excellence in executing entire project right from scratch to its completion and ensuring compliance to community & legal requirements. Conducted business visit to countries like Bhutan, China, France, Gulf Countries, Italy, Japan, Korea, Mauritania, Nepal, Oman, Qatar, Russia, Saudi Arabia, Switzerland, Taiwan, Turkey, U.S.A, Zambia, etc. with working exposure to some countries in Gulf, Nepal, Bhutan, Zambia, Japan, Oman, Russia etc. Accredited with State Governor’s Medal on Republic Day of India for exemplary performance in civil construction & development of Arunachal Pradesh, India. Successfully managed multiple projects & milestones while ensuring projects complied with overall cost & scope specifications. Deftness in anchoring on-site construction activities to ensure completion of project within time & cost parameters with effective resource utilisation to maximise output. Strong organizer, motivator, team player and a decisive leader with successful track record in directing from original concept through implementation to handle diverse market dynamics. Dr. Sharma is a seasoned infrastructure professional with 25 years of experience. 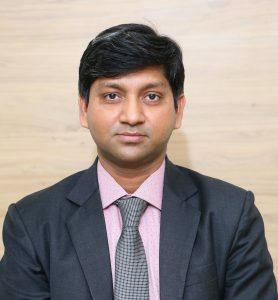 He has handled multiple aspects in infrastructure domain, including the business development, design, implementation and operations of prestigious projects. Nature of projects done are as diverse as BOT, Construction & implementation, Feasibility & EPC. He has previously served the United Nations in Africa and Afghanistan. In addition to working in multiple projects in various parts of India, he has exposure of Infrastructure business in Middle East and European. He is Master of Technology from BITS, MBA Marketing and BE (Civil). In REPL, he spearheads many large scale infrastructure projects including the Smart Cities. Smart Cities PMC assignments of Varanasi, Kanpur, Dehradun & Indore. Several NHAI/MoRTH Project & MPRDCL projects. Dr. Sharma is also a member of American Society of Civil Engineers. Mr. Verma is a seasoned professional with 27+ years of experience in Project Management Consultancy and its various aspects. He has worked for smart city and other government projects across the country. Along with planning, designing and project management he is well versed with urban development policies and issues. Mr. Verma has done B.tech. Civil from BIT Mesra Ranchi and is MBA from Patna University. He is member of Institution of Engineers, India and Indian Water Work Association, India. At REPL he leads Varanasi Smart City team. Mr. Sandilya is an accomplished professional with 19+ years of experience in handling various large scale government projects. He has worked in diverse sectors like highways, infrastructure, civil etc. He is an expert in handling EPC and Turnkey based projects. Along with project execution he has also been involved in Managing and Co-ordinating site activities, Project Management Consultancy, Client Co-ordination etc. He has done B.Tech from KNIT, Faizabad and PG Diploma in Project Management from MIT, Pune. He has also done Executive Certificate program in Entrepreneurship from IIM Kashipur. At REPL he leads Kanpur Smart City team. Reconstruction with Geometric improvement in two lane for Ministry of Road Transport & Highways on EPC basis in Uttarakhand. Widening to 4-lanes from Etawah to Sikandra in Uttar Pradesh for NHAI. Rehabilitation, Strengthen and Widening for 4 laning of Surat Manor Tollway Project for NHAI. Industrial Model Township Manesar, Gurgaon, Haryana for Haryana State Industrial Development Corporation. Reviewing and Modification of Designing, Providing, Laying, Testing & Commissioning Sewerage Project of Rajgir Town on Turnkey Basis. PMC for ELDECO-SIDCUL Industrial Park (PPP Mode) in Uttarakhand. PMC for G-SEZ (Gabon Special Economic Zone) in PPP Mode in Gabon, West Africa. Civil works for foundation of turbine building For Jindal Tractable thermal Power Corporation in Karnataka. 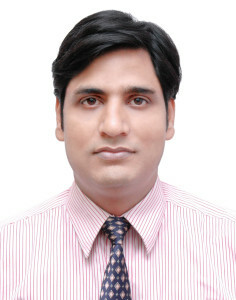 Mr. Zulquer Nain has 14 years of experience, including 12 years of association with REPL. He holds a degree in M.Tech from IIT Guwahati, and B. Tech (Civil Engineering) from Jamia Millia Islamia, New Delhi. He specializes in Water Resources; Environmental Management and its utilization. At REPL, he is responsible for planning and designing of infrastructure services such as, Water Supply System, Sewerage System and Rainwater Harvesting System. He is also handling activities related to Tenders, Contracts, Construction Audits and Project Management Consultancy (PMC). His areas of expertise include preparation of bill of quantities, tender documentation, finalization of all types of contractor for group of real estate companies, construction material purchase with optimized cost for construction activities, construction audit for real estate projects, bill checking and its finalization & payment. Planning and Designing of all types of infrastructure services such as, Water Supply System, Drainage System, Sewerage System and Drainage System, as per requirements of Hi-Tech Township projects at Dadri (Noida), Allahabad and Lucknow, U.P. Planning & Designing of infrastructure services for Integrated Township projects in Agra and Doondaherra, Ghaziabad, U.P. Omaxe Residency, residential township project at Lucknow, U.P. P. Healthcare Hospital Project, Lucknow, U.P. Paarth Infrabuild’s Aadyant Group Housing Project, Lucknow, U.P. Paarth Arka Group Housing Project, Lucknow, U.P. New Modern Buldwell’s Projects in Allahabad and Lucknow, U.P. Mr. Dhirendra Kumar has 9 years of experience. He specializes in Infrastructure, Industrial (PEB) Buildings, Infra and its utilities. He holds degree in B.E. in Civil Engineering from Bangalore University. At REPL, he is responsible for planning and designing of infrastructure services such as Water Supply System, Sewerage System, and Drainage System. He also participates in activities related to Business Development and Project Management Consultancy (PMC) and specializes in preparation of Bill of Quantities (BoQ), BID documentation, finalization of all types of contractors, bills verification, and their finalization & payment. Dhirendra has vast experience in Water Resources, Project Management, and its implementation.